Cultist Simulator is a rich and mysterious card-based adventure game that will likely test your patience. Anyone remember Underhand? It was a really cool Reigns-like card game where you led a cult in your quest to summon different cosmic horrors into existence, and it was totally free. 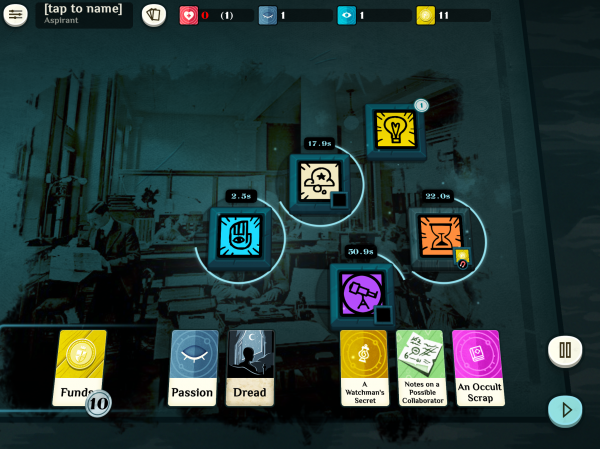 For whatever reason, it is nowhere to be found on the App Store anymore, but worry not: There's a new occult card game in town in the form of Weather Factory's mobile port of Cultist Simulator. While this game is more than capable of scratching a somewhat Lovecraftian itch, it presents a lot of trial and error that may test your patience. Cultist Simulator does not give much of an introduction. It just opens up on a card table, some tiles, and it guides you to start sticking cards into the tiles to see what happens. When you tap on these cards or drag them onto highlighted tiles, some accompanying text starts weaving together your narrative. For a while. It’s not clear what you’re supposed to be doing. Moreover, everything you plink around with at first doesn’t feel particularly “cult-y.” You go to work to earn money, rest, and dream. At some point though, you stumble upon some ancient lore or a mysterious package, or perhaps even a temptation that sets you on the path to cult leadership. As a card game, you might think that Cultist Simulator is some laid-back, turn-based experience, but you’d be wrong. This is a game that moves in real time, and it’s your job to keep certain plates spinning to advance your story and avoid descending into ruin. At its simplest, this just involves being able to pay your bills. You work a shift at your job to earn fund cards, but those fund cards get slowly sucked away every 60 seconds by the “Time Passes” tile. If you don’t keep finding ways to make sure you have money cards to feed into this tile, you get sick, and then if you don’t recover from your sickness, you die and have to start all over again. This tile remains ever-present, but other things, like recruiting underlings and developing noteriety, start rearing their heads and give you even more to manage. It quickly becomes a lot to handle all at once, but (thankfully) Cultist Simulator provides a convenient pause button that can always allow you to take a break, observe what’s going on, and plan your next moves. This basically means you’ll try and fail a lot in Cultist Simulator, especially as you’re first starting out. To keep this from getting overly tiresome, the game builds in some mechanics and systems to make each new session feel relatively unique, including random events, but also—more interestingly—new characters to play as in the form of legacies. These characters bring their own strengths and weaknesses when it comes to building up a cult, so you’re never feeling like you’re doing too much of the same old stuff on each new run at the game. Coming from the creative mind behind Sunless Sea, none of these design choices should sound particularly surprising, but this makes for a game certainly isn’t for everyone. 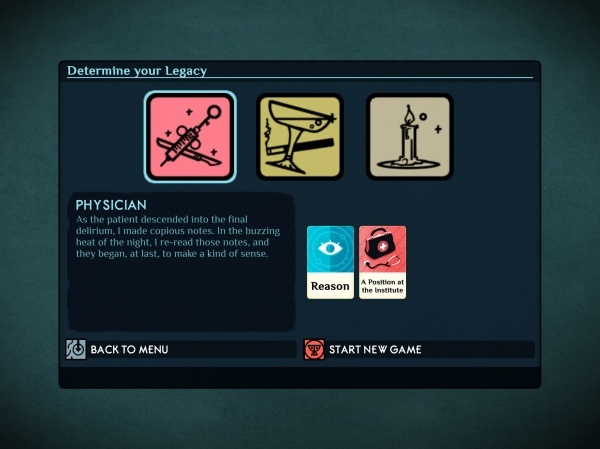 For me, I find the effort of trying to figure what I can do and what those things mean kind of tedious, but I could easily see someone really digging into the mysteries of Cultist Simulator and having a blast. I say this because the game is built to give you legitimate and satisfying rewards for your efforts, provided you have the patience to dig.